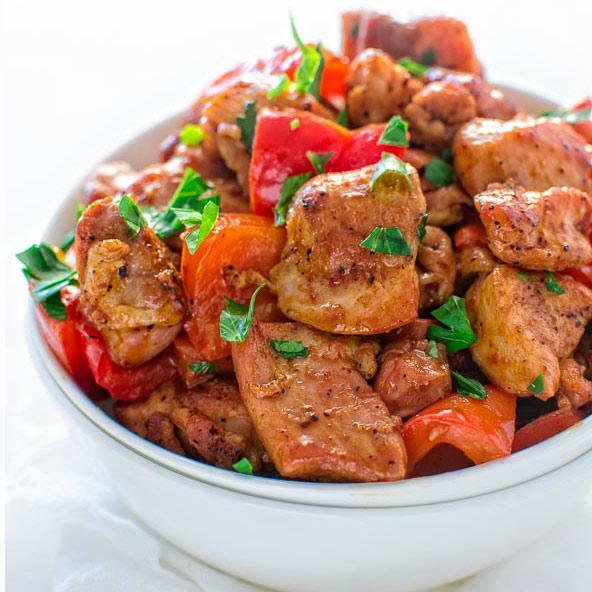 Foodista | 5 Delicious and Easy Dinners You’ve Got to Try This Week! Happy Monday! We've got just a few days left of Summer before we welcome the Autumnal Equinox on Friday. I love the sound of Autumn in lieu of Fall, don't you? Fall just sounds so, well, less peppy than Summer. While I'm saddened that our temperatures have suddenly dipped plunged into the low 60s from the 80s in nary a week's time, I'm eager to pull out my sweaters and hunker down in front a cozy fire while something simmers on the stove or roasts in the oven. But before I get ahead of myself I want to share some lovely recipes from a few of our dedicated recipe contributors here at Foodista, easy recipes that are wonderful for this last week of Summer and the beginning of Autumn. 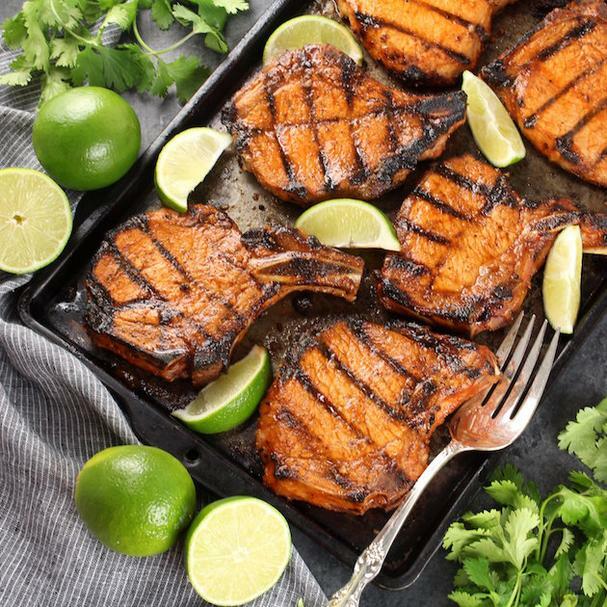 I think you'll love the sweet and spicy Maple Sriracha Grilled Bone-In Pork Chops and the Smoky Paprika Chicken, both of which have less than 5 ingredients if you're not counting salt and pepper. I could literally eat soft corn tortillas every day, so I never turn down a dish like this Cheesy Enchilada Casserole. 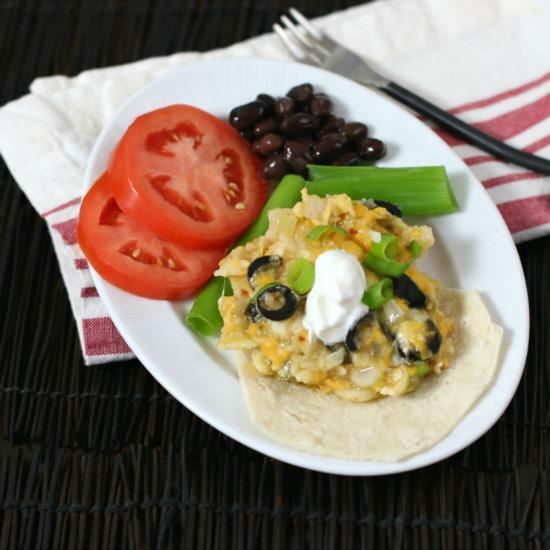 This easy recipe features sharp and Mexican blended cheeses, onions, corn tortillas, olives, and green enchilada sauce, but you could also add some leftover chicken or beef if you want to bulk it up even more. I love to garnish mine with fresh cilantro, sour cream, avocado, and lots of hot sauce. Make it your own. 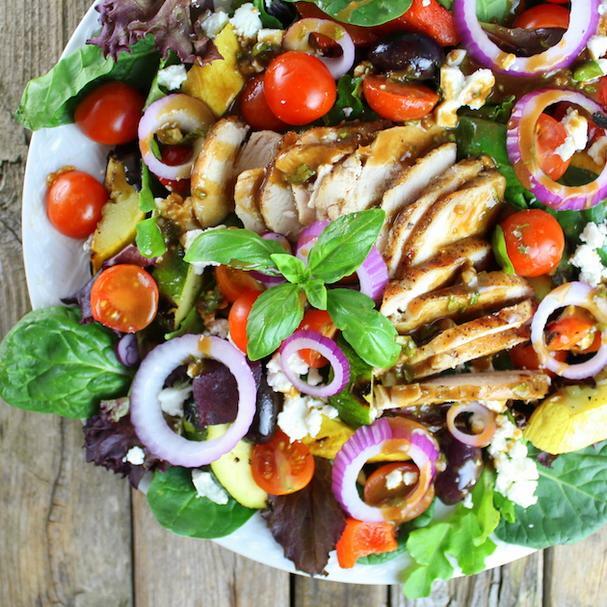 For a last summer hoohah go with this vibrant Grilled Mediterranean Chicken Salad. It's loaded with summer vege like tomatoes and zucchini and is topped with a divine tasting Basil Balsamic Vinaigrette. 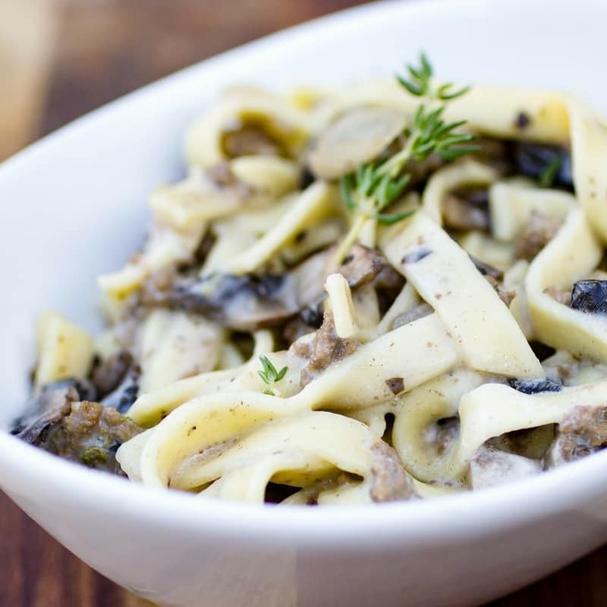 Last up is an Easy Ground Beef Stroganoff recipe. This recipe was contributed by Or Whatever You Do who is the mom of 7 kids (yes, seven, bless her), so if she can pull this dish off then you know it's easy enough for the rest of us! It's creamy, scrumptious, and hearty. Check your local weather forecast because this dish is perfect on a cooler night and totally fitting for the first day of Autumn.